Sunstate Sands have developed a special blend using our unique silica sands to comply with the Australian Golf Course Superintendent’s Association (ASGSA) specification for Bunker Sand. 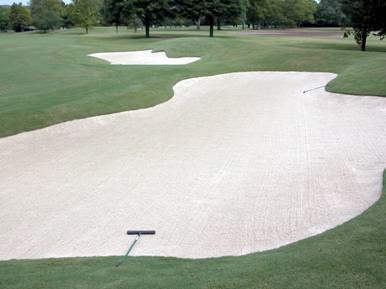 Also, due to our sands very white colour it gives the bunkers that high-end golf resort look. Our sand is low in salt, has a neutral pH and with it’s minimal clay content does not crust on the surface. Our Bunker Blend also holds up well on the face while minimising ball penetration. 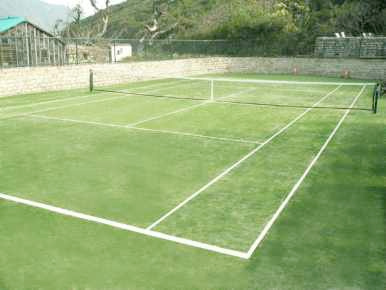 Synthetic Grass Tennis Courts – Our specifically sized and dried synthetic grass sand is perfect for sweeping into synthetic grass to hold up the grass fibres and give the natural feel and appearance of real grass. 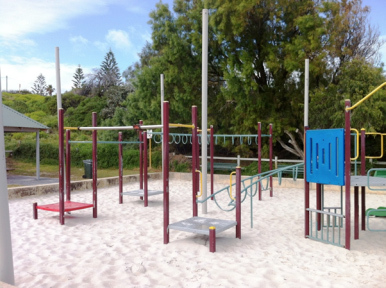 As we have removed all of the finer sand particles, our synthetic grass sand in free running and draining and does not clog up, making it easy to apply. 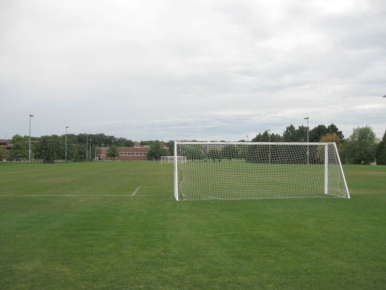 Top Dressing – Once again, due to the minimal amount of clay or silts naturally occurring in our sand deposit, it makes our product perfect for all types of sporting field applications. Our sand is low in salt content and is pH neutral, so it will not affect the grass that it is growing in it. Also, because the sand has had the finer particle removed, it is free draining, meaning that the water can get to the root zone where it is needed most.